Infographic: Who is investing in African agriculture? 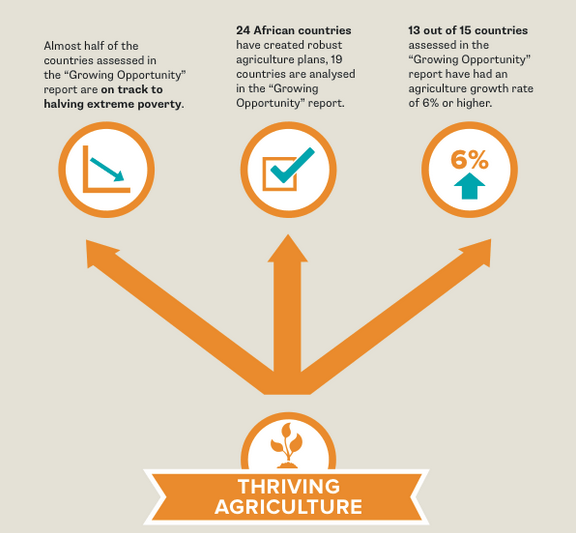 A decade ago, African leaders made a bold commitment to reverse decades of neglect of the agriculture sector. Big promises were made by both African countries and international donors – but have they been kept? Today ONE launches a brand new report which answers this question. A Growing Opportunity: Measuring Investments in African Agriculture takes a closer look at who’s leading the way and who needs to do more. Read the report, or get the headline findings in this infographic.